Looking for a healthy way to start your day? This low-carb acai bowl is full of delicious berries and incredible flavor! 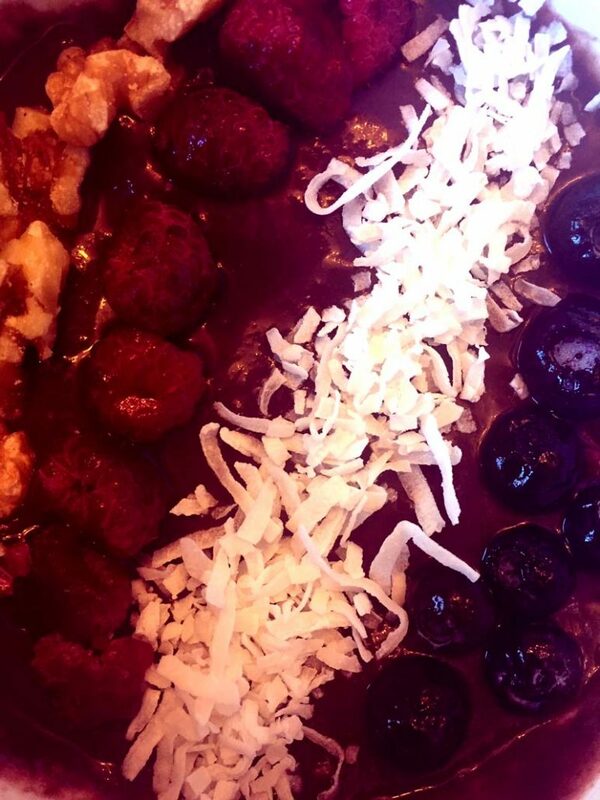 Acai bowls have become hugely popular. Maybe you have seen the colorful bowls on Instagram or Pinterest. 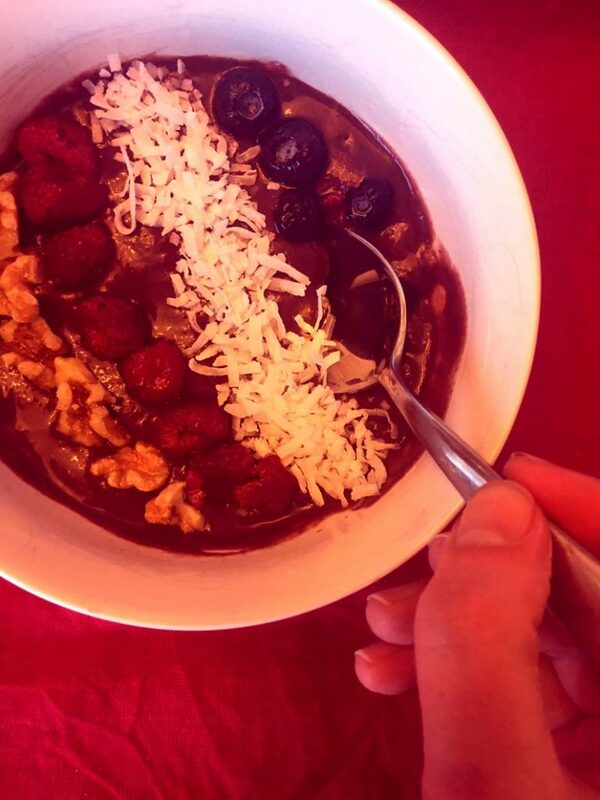 As rich in flavor as they are in nutrients, acai bowls are a great way to start your morning. 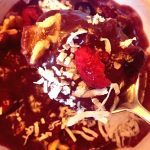 This recipe for a low-carb acai bowl is easy to make, low in carbohydrates, gluten-free, and totally delicious. Anything this easy and tasty is an exciting addition to my recipe arsenal! This recipe starts by using Greek yogurt and a tablespoon of acai powder. Greek yogurt is one of my favorite breakfast ingredients. 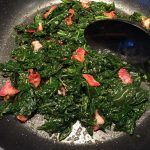 It is protein-rich without making you feel heavy and weighed down. The toppings on this bowl keep the recipe low-carb and gluten-free without skimping on flavor. Delicious and sweet, you’ll enjoy this low-carb acai bowl so much you’ll forget how healthy this recipe is! 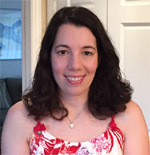 It satisfies my sweet tooth without added sugars, keeping it healthy and enjoyable! To build this bowl, you take the combined Greek yogurt and acai powder and top it with berries, walnuts, and unsweetened coconut flakes. I like to add a tablespoon of Erythritol for some extra sweetness without the carbohydrates of sugar. A combination of blueberries and raspberries makes for a great marriage of flavors. I just love the tangy raspberries combined with the nutty walnuts and sweet blueberries. The coconut flakes might be my favorite touch. 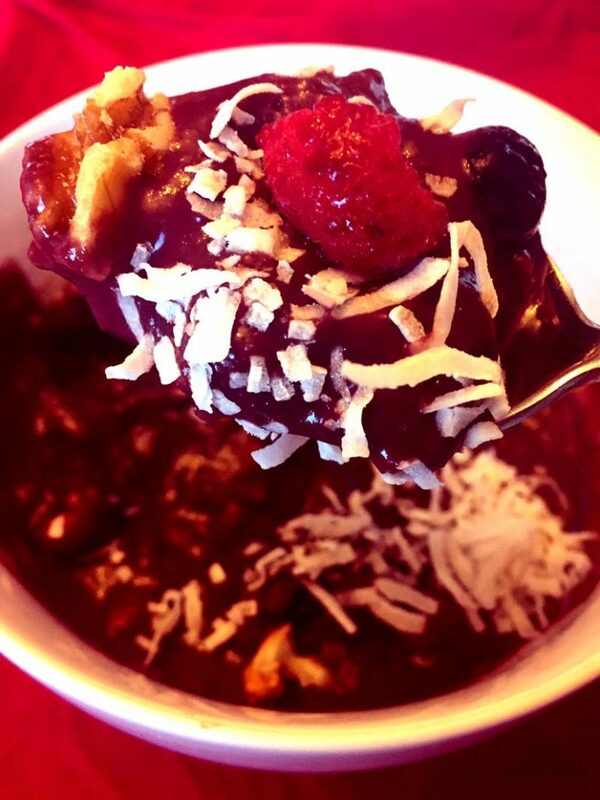 They add an interesting texture to this low carb acai bowl as well as a diversity of flavor. While this low-carb and gluten-free acai bowl makes a healthy and delicious breakfast, it can always make for a delightful snack. I love to enjoy one following a workout when my body is craving protein! You don’t have to turn to meat to enjoy a protein-rich, low-carb treat. 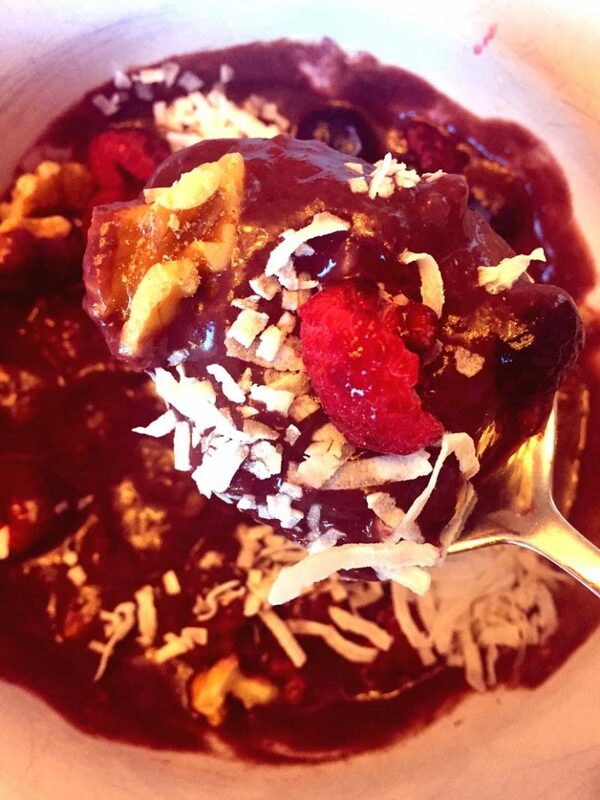 This acai bowl is proof that fruity, decadence is possible even with a low-carb recipe! Blueberries and raspberries are so flavorful and this recipe makes them extra yummy. I just love this low carb acai bowl for breakfast or a snack. Even though this bowl tastes like it came straight from a California cafe or breakfast bar, it is easily made in your own kitchen. 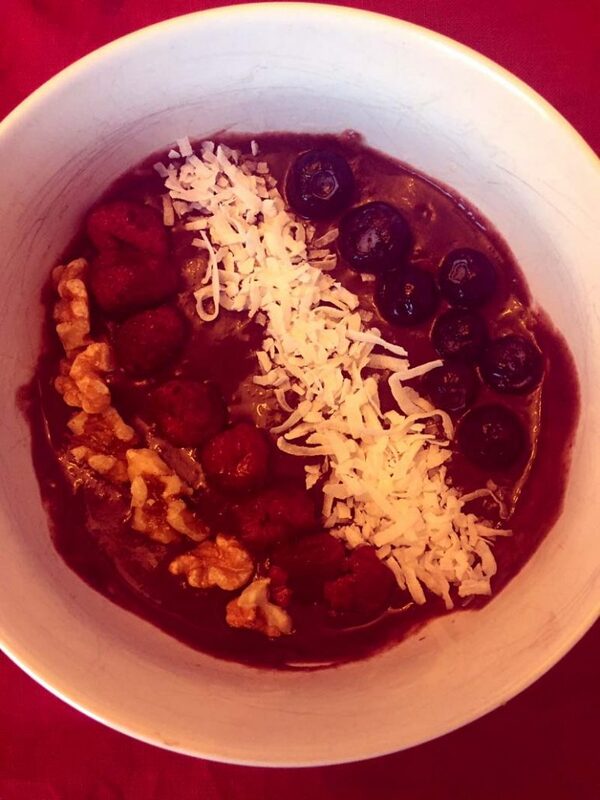 If you’re after a low-carb, gluten-free recipe, look no further than this delicious acai bowl. You’ll enjoy the delicious health benefits and flavors this bowl brings together! 90 Second Keto Bread – this mug bread is ready in 90 seconds in a microwave! Low carb and tastes like real bread! 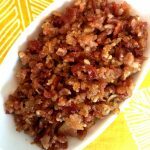 2 Ingredient Keto Chips – one of the ingredients is cheddar cheese! These crunchy chips are a must for cheese lovers! Keto Ricotta Breakfast Cake – another awesome low-carb breakfast option, you’ll love it! Low Carb Peanut Butter Cups – even better than Reese’s, these homemade keto peanut butter cups are amazing! Coconut Chicken Tenders – breaded chicken without the carbs, this recipe is using unsweetened coconut flakes instead of bread crumbs! This acai bowl is low-carb, gluten-free and tastes amazing! What a perfect healthy start to your day! Mix the yogurt with acai and divide between 2 bowls. If desired, sweeten with Erythritol. 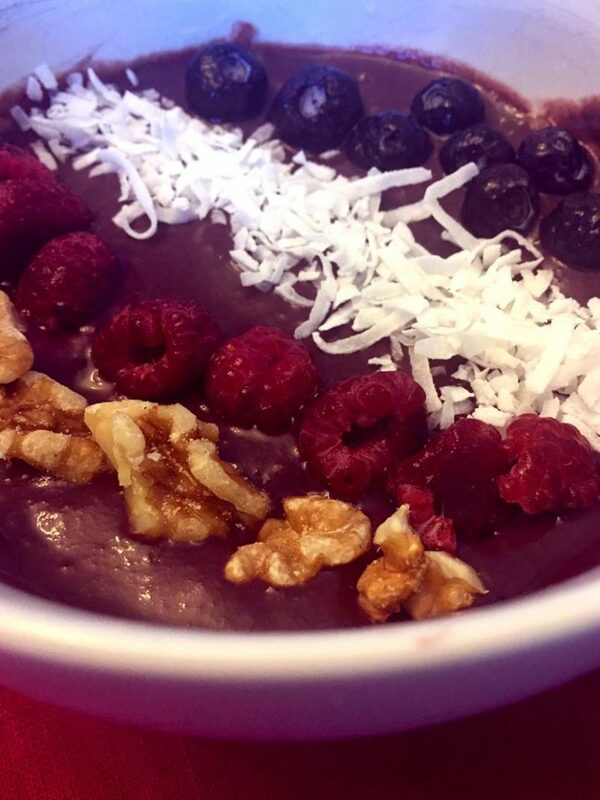 Top the acai bowls with blueberries, raspberries, walnuts and coconut flakes.